We believe every child deserves life-changing teachers. Every day, child care programs work to ensure that our youngest children have a safe, loving environment where they can learn and thrive. At Teachstone we are committed to ensuring all children experience effective interactions with their caregivers and teachers – the very interactions that are proven to drive positive development and learning. Teachstone is excited to offer the CDA with CLASS, a comprehensive program which prepares educators to successfully earn the Child Development Associate (CDA) credential. This program also builds CLASS understanding and skills for improved interactions between teachers and children. The CDA with CLASS is currently only available as an enterprise-wide solution. Partner with us to offer your employees a comprehensive program that will prepare them to obtain or renew the CDA credential. The CDA with CLASS consists of three 8-week courses covering the skills required for earning the CDA credential. Infant/Toddler and Pre-K age levels are offered. Learners also build their professional portfolio along the way and earn continuing education credits (CEUs). With multiple enrollment dates throughout the year, this 24-week program meets learners where they are, whenever they are ready. Content is accessible anytime from any device. The program comes to life with authentic classroom videos, peer to peer discussions, facilitator feedback and strategies to enhance classroom interactions. This program is the only one to integrate CLASS understanding and skills for improved interactions between teachers and children. In addition, learners are supported by online facilitators who provide feedback and encouragement. Have Employees with a CDA? Great! The CDA Renewal with CLASS is a comprehensive online program for early childhood educators that want to renew their CDA. 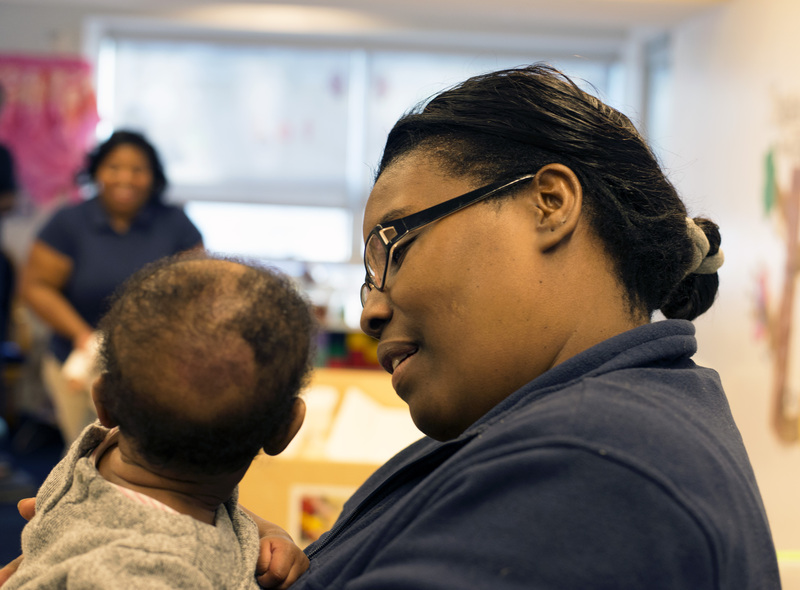 This 8-week program expands understanding of children’s developmental needs and how to best support them in partnership with colleagues, families, and communities. At the center of all this learning is the CLASS framework. The CDA with CLASS is currently only available as an enterprise-wide solution. If you are a center director or administrator interested in offering an educational solution to your employees, we would love to hear from you.